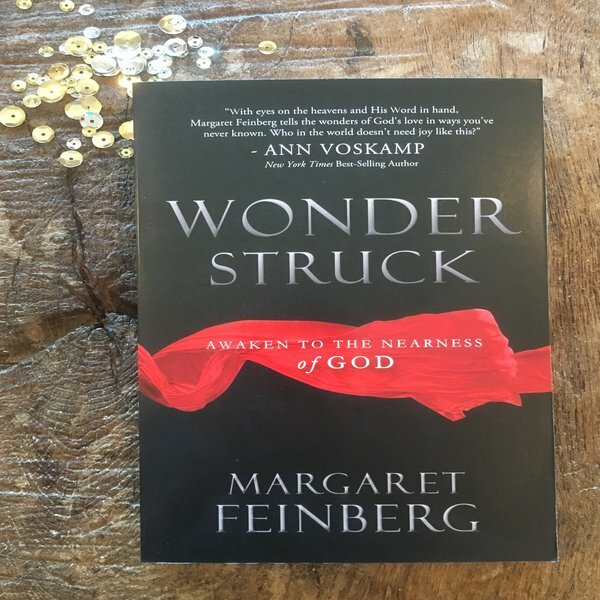 Today, we celebrate the completion of Wonderstruck by Margaret Feinberg. Our memory verse for Week 6 was Micah 7:18,19. The final week of our study concentrated on the Wonder of Forgiveness. On Day 1, we established a foundational definition of forgiveness. We learned that to forgive was to excuse a fault, to pardon, to renounce anger or resentment against, and also, to absolve from the payment of a debt. We also viewed five truths of forgiveness. The last portion of this lesson, we were to record at least 30 different things for which God has forgiven in us. Did you find as you completed this portion of the lesson that your resolve to forgive others was strengthened? I did. I felt the more I listed my sins and the more honest I was to name them; the more empowered I felt. The lesson on Day 2 reminded us that sometimes, forgiveness is an action that needs repeating over and over again. We were to consider whether we viewed forgiveness as a discipline or a one-time act. An important component of forgiveness was highlighted on Day 3: The power of blessing. By offering blessing to the one who has wronged us, the attitude of the heart is transformed. Margaret Feinberg suggested that we put into practice the Three Kind Words strategy. The person needing forgiveness asks for it and the other person grants it and then, that person offers three compliments to the one who needed to be forgiven. On Day 4, we explored how unforgiveness spreads. We looked at the effects of unforgiveness in our own lives, in our relationships with others, and how unforgiveness can also affect our communities. Margaret Feinberg offered us several steps to ensure that we move towards forgiveness. She shared this statement in our first lesson of the week. “Forgiveness is meant to flow through us, refreshing others along the way”. What a wonderful, humbling, and challenging thought! Unforgiveness has the power to destroy but forgiveness has the power to refresh and bring life. Our last lesson on Day 5 summed up the essence of the study. We are to remember the powerful ways God has revealed Himself in each of our lives. We are to celebrate the wonders of God that are all around us everyday. We are to open our eyes and search for God and to discover Him and be wonderstruck. Thank you for joining me in this journey. I hope that you feel renewed and energized by the wonders of God all around you. Many blessings to you!